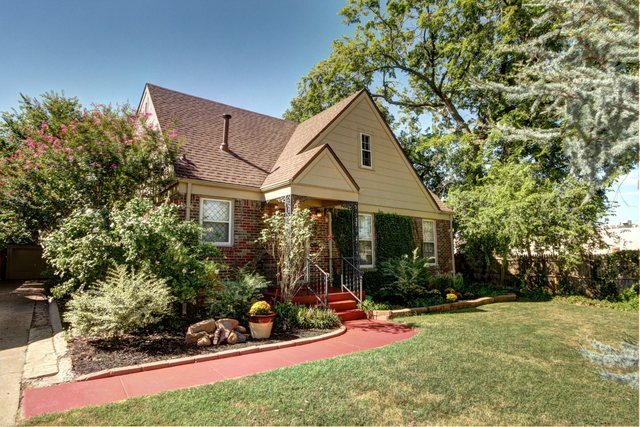 Check out this REMODELED home in Historic Shepherd Neighborhood. Fall in love w/ the Character & Charm of this 1930's English Tudor home. There are two living areas one at the front of the house for entertaining & one at the back of the house perfect for relaxing & looking out into the peaceful backyard. Kitchen has been updated w/ granite, newer cabinet doors & hardware, plus features double oven, built-in range & microwave w/ plenty of cabinet & counter space. Master Bedroom downstairs w/ Remodeled bathroom. Two bedrooms upstairs w/ walk-in closets, office area and full bathroom. Inside laundry room w/ sink and great storage area. Beautiful outdoor patio area in the backyard w/ 8ft privacy fence.